Peak hurricane season has arrived for the western Atlantic. Even though hurricane Florence isn’t tracking to have a direct hit to Florida that doesn’t mean that we won’t be experience some of the effects from the storm. Hurricanes that travel along the East coast of the U.S. bring with them increased surf. When these higher than normal waves combine with high tide events in our area we typically see some level of beach erosion. People who visit our area beaches after these storm events will often find sea turtle eggs rolling around in the surf, or nests exposed in the sides of scarps. The loss of nests is unfortunate, but all hope should not be lost. Sea turtles exhibit a nesting strategy that mitigates some impacts of nest loss. Each nesting female turtle deposits several nests throughout a nesting season. In addition, turtles often nest in locations both higher and lower on the beach. The nesting location variability and spacing out of when nests are laid during the season increase the likelihood that some of their nests will incubate successfully in the event of a hurricane. Remember if you see an exposed nest please do not collect or dig up the eggs. The best chance for the eggs to successfully hatch occurs when they are not moved around. If you are in an area that is expected to be affected by a hurricane be sure to heed the warnings of state and local officials and to stay safe. 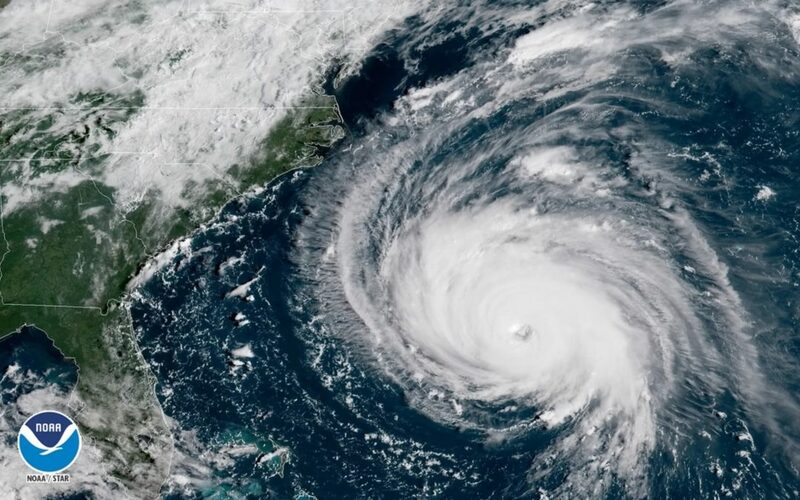 For more information about the hurricane conditions in the western Atlantic you can visit the NOAA National Hurricane Center website here.